I recently started a self improvement project, a.k.a. weight loss plan… 😉 and found a great recipe for a pineapple upside down cake that uses less sugar and fat but still tastes fantastic! Practically a miracle if you ask me. I found the cake to be moist, and the pineapple carmelized perfectly I couldn’t have asked for a better turn out, really! 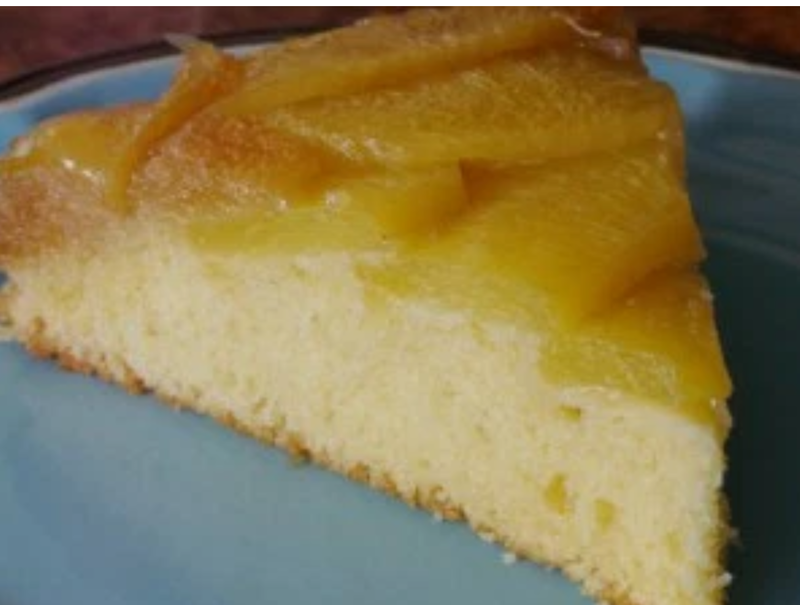 Just try it for yourself, here is the recipe for a dieters dream pineapple upside down cake. Enjoy! In a cake pan on the stove melt 2 Tbsp of the butter and add 1/4 cup brown sugar, add the pineapple ring and allow to cook for 2-3 minutes on each side to allow the pineapple to carmelize. Remove from heat. Melt the 2 remaining Tbsp of butter and combine with the egg, reservedpineapple juice and 1 c. of cake mix (dry) Blend together thoroughly and pour over the pineapple. Bake in a 350 degree oven for 30-35 minutes. Cool slightly and turn cake over onto cake plate while still warm. And, VIOLA! a beautiful pineapple upside down cake!! Enjoy!